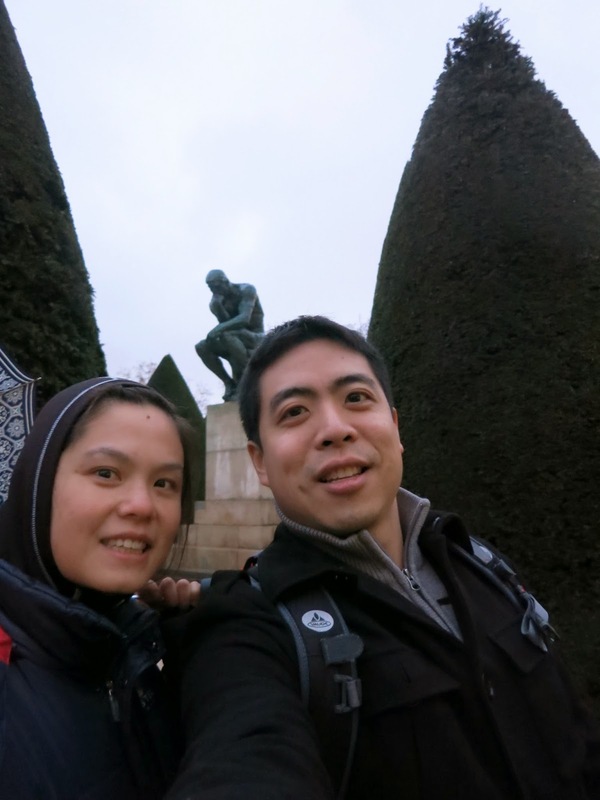 One of the most unique museum/gallery to visit in Paris is the Musee Rodin because it is not like others you'll visit... but it's probably most appealing during the spring and summer months because a large component is out in the garden. We got there in the dead of winter and it was most certainly not one of the most appealing experiences though very fruitful. We originally started with the intent to visit Musee D'Orsay but the line (at 4pm, which is 1 hour left!) was probably well over an hour wait. 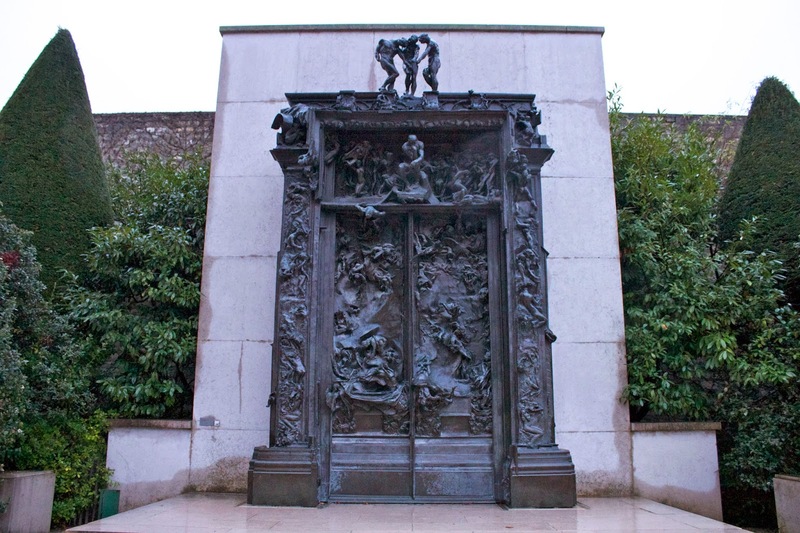 Auguste Rodin is a French sculptor who is considered the progenitor of modern sculpture. Although he was traditionally trained, his works deviate from the traditional "decorative, formulaic or highly thematic". As you've seen in this series so far, the French admire the Roman and Greek works very much but Rodin's sculptures depart from the traditional favourites of the French. Instead, he modelled the human body with realism. 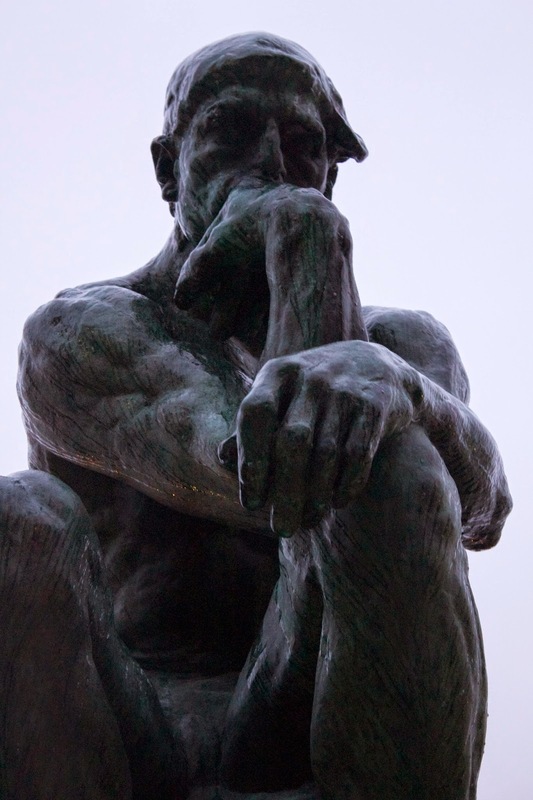 "Rodin was a naturalist, less concerned with monumental expression than with character and emotion. Departing with centuries of tradition, he turned away from the idealism of the Greeks, and the decorative beauty of the Baroque and neo-Baroque movements. His scultures emphasized the individual and the concreteness of flesh, and suggested motion through detailsed, textured surfaces, and the interplay of light and shadow." (Wikipedia). When you see his works, it feels like he's taken the model and frozen them in that moment of movement and emotion. That said, his pieces were nudes in varying postures and of both genders. His most notable works are The Thinker, The Gates of Hell, The Kiss and The Age of Bronze. The museum is the original Hotel Biron, an 18th-century townhouse and Rondin worked on the main floor during his later years. This move happened sometime following the 1900 World's Fair in Paris where he gained exposure from a pavilion of his artwork. As well, his income for his work increased at this point where many of his commissions were coming from private clients. 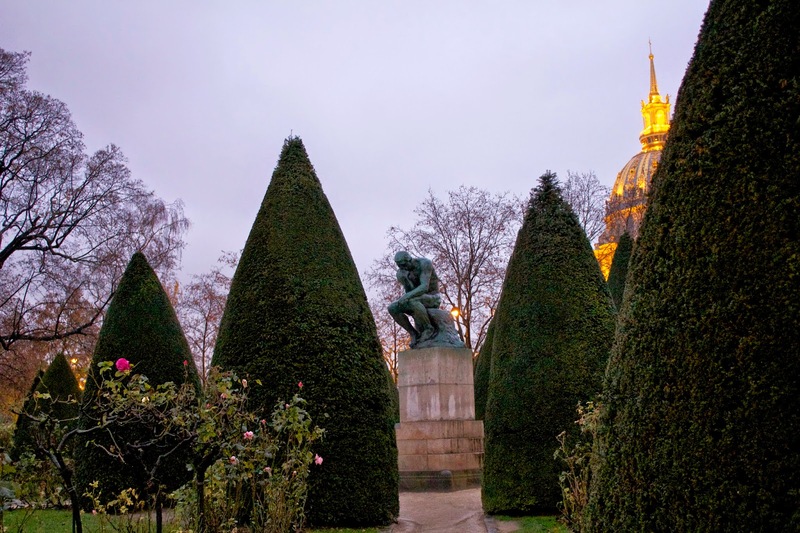 Rodin himself has an interesting past and personal life but most certainly, he is best known for the work that comes from him skills as an artist. The cost of checking out this museum and garden is quite modest too. In the summers, you could go for a very modest 2euros and stay in the gardens and stroll around.